An important thing to remember is that applying for a HARP loan in California may initially be quite confusing given the number of forms that need to be completed and you must realize that the organization is not your money lender, but an insurer of your loan from a bank or financial institution. However, do not make the mistake of applying for large credit lines, buying new vehicles or increasing your credit card limit. This will undoubtedly negatively affect the income to debt ratio and could disqualify you from getting a HARP loan. If you have any questions or concerns, please don't hesitate to call my office at 800-774-7650 or email me at closings@summitlr.com . I am here for you! 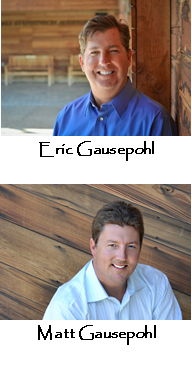 Contact Eric Gausepohl and Matt Gausepohl, your California HARP Refinancing Expert, to setup a free consultation to determine if you are eligible for the HARP program. I will be honored to work with you!